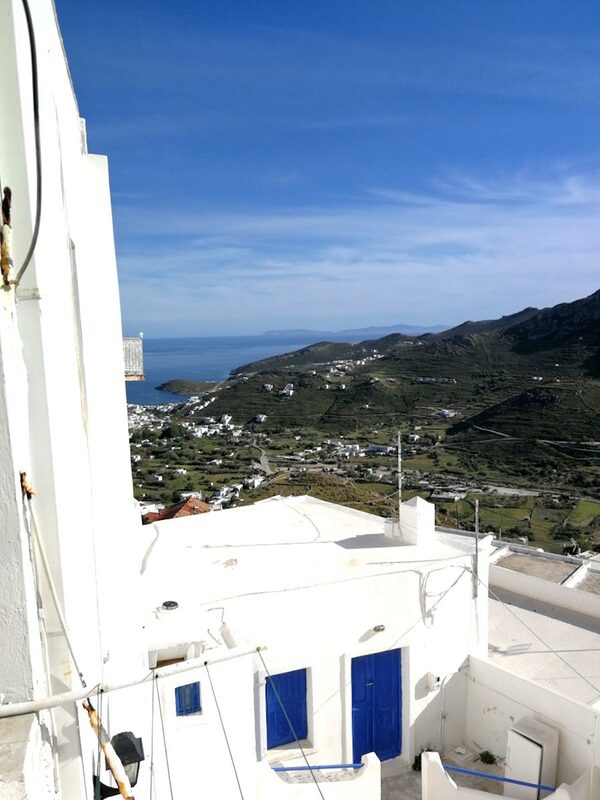 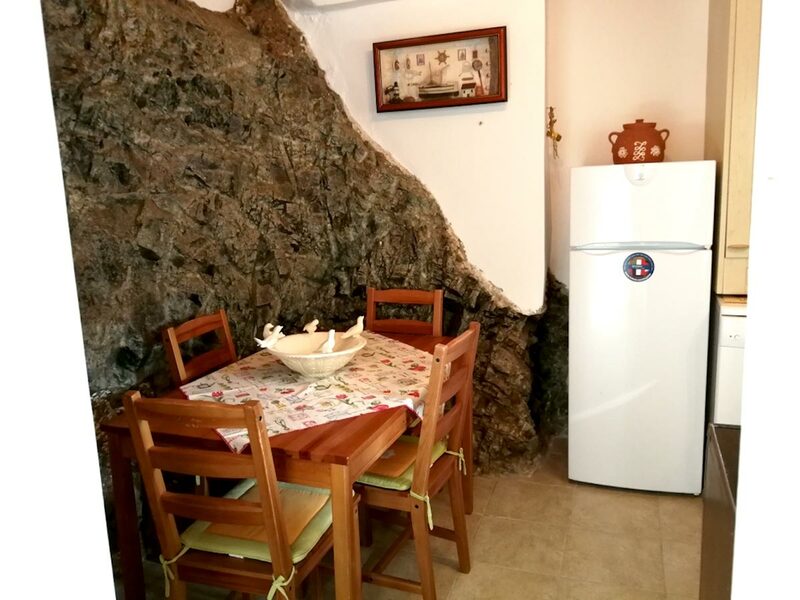 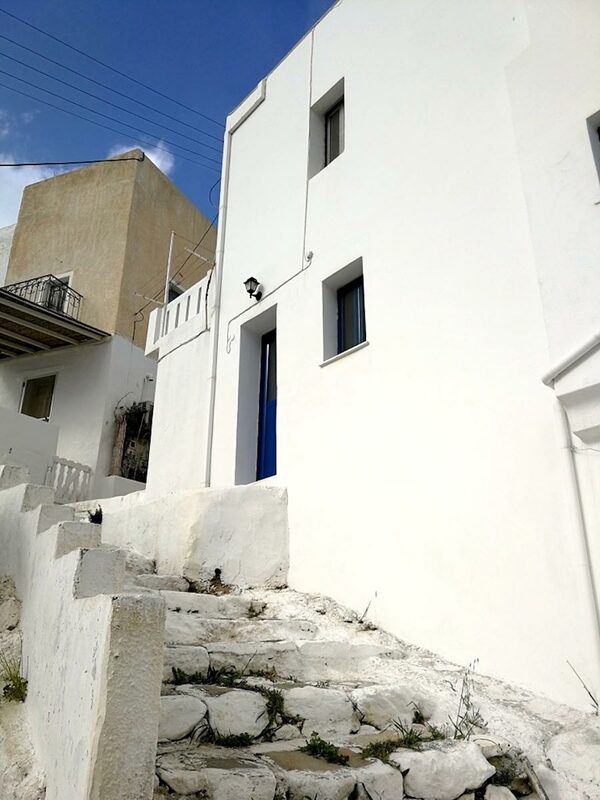 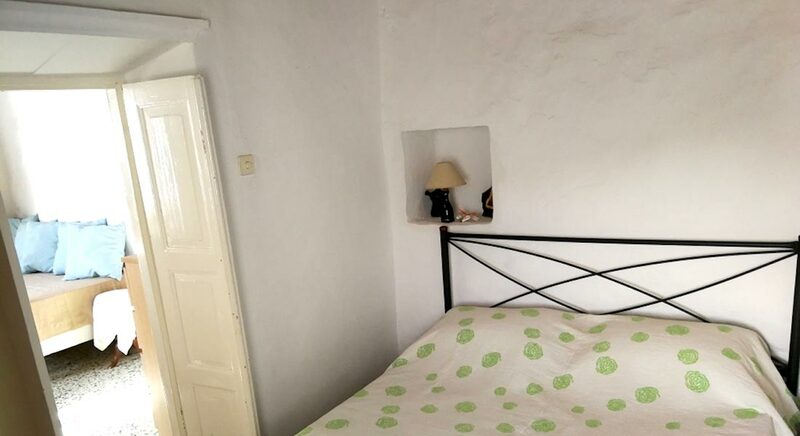 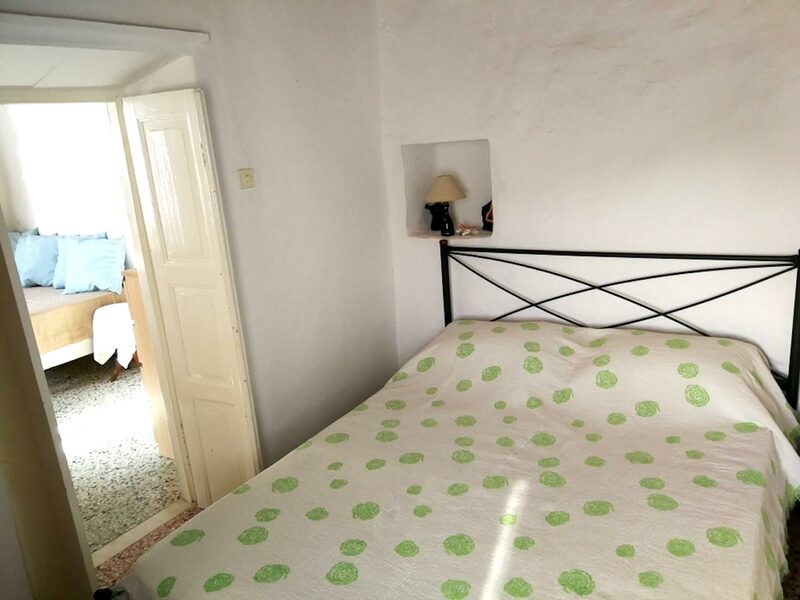 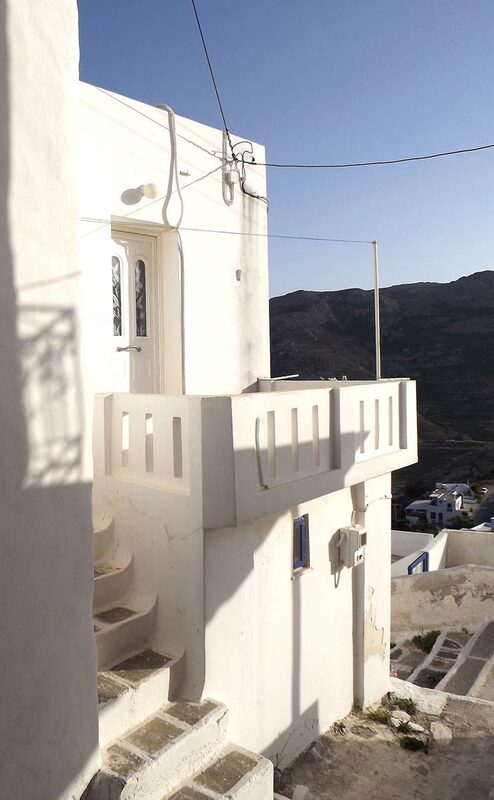 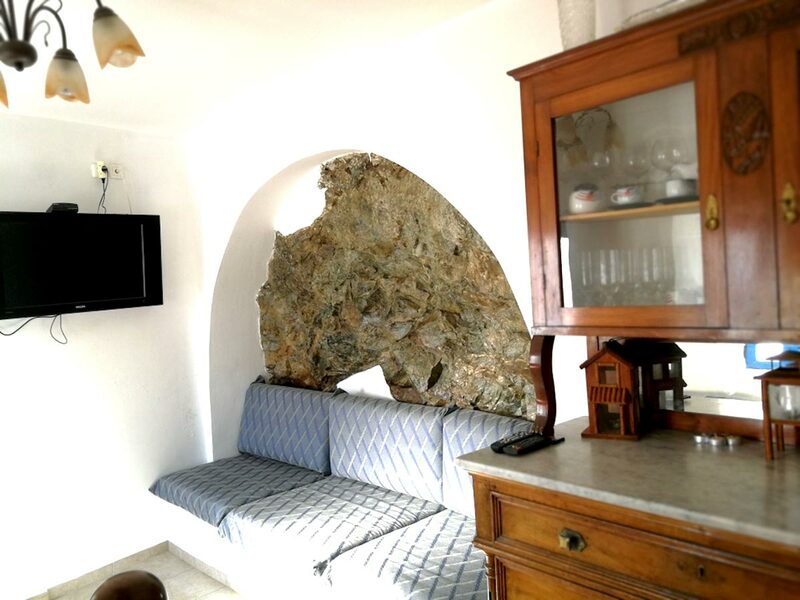 Traditional Cycladic house in Kato Chora on two floors very close to the square of Evangelistria. 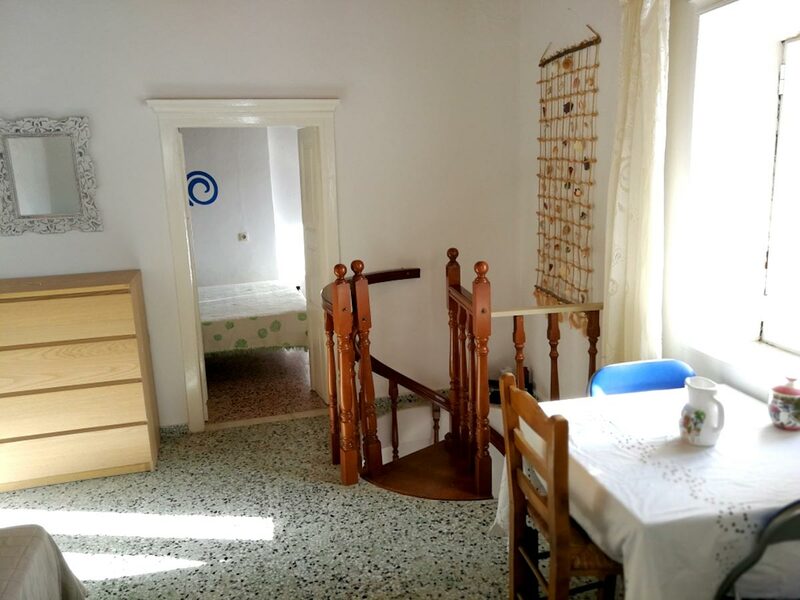 From the main entrance to the living room with a single bed and in the background the bedroom with a double bed. 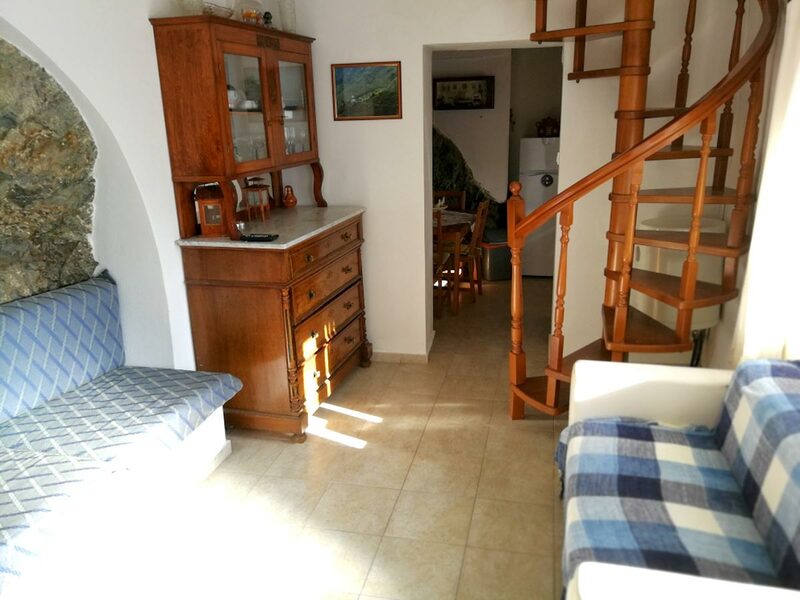 On the lower floor, living room with a built-in sofa bed and fully equipped kitchen. 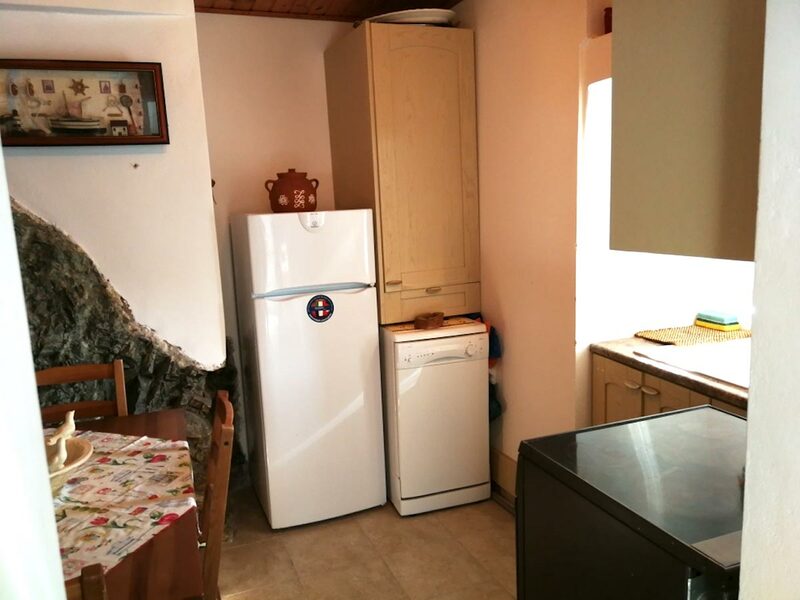 Bathroom with bathtub and washing machine.